Alpine Chiropractic Center - Chiropractor in Comstock Park, MI US :: Dr. Ronald Wilcox Jr.
Comstock Park / Grand Rapids Chiropractor Dr. Ronald Wilcox Jr. I had them in grade school, junior high and high school. We did all the traditional medical things with very little relief. Finally in high school the doctor labeled them migraine and told us I would grow out of them. The headaches were terrible, I would have severe right eye pain and become nauseous and sometimes vomiting. The doctor was correct, my early years in college were almost headaches free, then they came back more intense my senior year. A relative suggested chiropractic care. At the time we had no idea what chiropractic was, but decided to try it. I didn’t experience a miracle, but in my 30+ years of practice I have witnessed a lot of them. My progress was slow but steady. I could see and feel we were making improvement. Chiropractic got my headaches under control and I rarely have any headaches, and almost never a migraine. My personal experience with chiropractic success directed me to Palmer College of Chiropractic. I graduated from GVSU in the summer on 1972, and started at Palmer in October of 1972. I went to Palmer thinking chiropractic works for headaches and with back pain, two of the most common complaints. Shortly after school started I realized chiropractic was much bigger then my original thoughts. The nervous system controls everything that happens in the body. So, if there is a nerve interference and chiropractic corrects that interference almost any ailment or condition could be helped. Some of the common things we see happen through chiropractic would be considered miracles by many people. I am married to my high school sweetheart, since June of ‘72 (you do the math!). 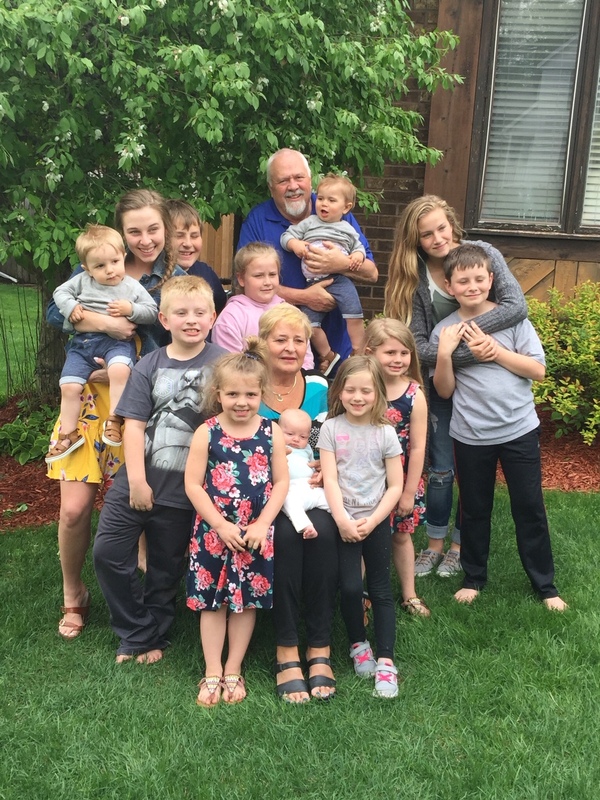 We have three adult children and twelve grandchildren. All three children have followed in my footsteps and are now chiropractors. I like to hunt, fish, watch our grandkid’s activities like soccer, basketball, and other sporting events they do. For the last few years my wife Deb and I spend nice days riding our Harley’s. The summer of 2007, a chiropractic friend and I rode our Harley’s to Alaska and back. It was the ride of a lifetime, truly indescribable. We are very active in our church, Deb does a lot of mission work with a group in Honduras. She is on the board of Case de Esperanza, a mission team that works with the people of Honduras. I try to practice what I preach, I get adjusted at least once a week, sometimes more. I don’t smoke or drink alcohol. I try to exercise regularly. However I’m not a saint. I take supplements regularly, haven’t needed a prescription in my adult life. Our kids have been raised drug free. Being healthy is more than the lack of symptoms, but as close too 100% function of all of our organ and systems. I will enjoy seeing you here at the office, so we can help regain your health or keep you healthy through chiropractic care. Our goal is to help you live a healthier, happier more productive life to the glory of your creator. Call soon.